I start in race one with WANTED TO SING for Matt Laurie. She has been a very consistent filly. Last start she showed her versatility when ridden back where she closed the race off well. She has drawn a wide gate and it will be interesting what instructions I get but since she is adaptable it gives me great options. This looks like a competitive race but she gets a good chance to break her maiden status. TOFFEE NOSE is my ride in race two for Danny O’Brien. On debut she ran at the same course and now steps up slightly in trip. She was closing off rapidly up the inside and if she has derived good experience from that, she will be hard to hold out. In race three, I ride WILLING ACCOMPLICE for Danny O’Brien. He was ridden on speed last time and was very gallant. In his two maiden runs, he has run into some very talented horses which should hold him in good stead for today’s race. I start in race one with SUPER CASH for Andrew Noblet. She has got excellent first up form and at the distance. She has trialled nicely coming into this and it looks like a really nice race to start off her Spring campaign. THE BANDIT is my ride in race two for John Sadler and Waratah Thoroughbreds. He is stepping up sharply in trip from his fast finishing run over the mile. He is a Japanese bred and prepared horse and if anyone can get this horse to step up to this trip at this level it would be John Sadler. He is on the minimum weight and this will shape his Spring carnival program. In race three, I ride NOZOMI for Lee & Anthony Freedman and Coolmore. Unfortunately, he keeps drawing wide gates but I was a really happy with his last start performance. There looks to be strong tempo so the field should string out and hopefully that gives me the chance to negate the barrier. I expect this horse to be closing off well. PORTION CONTROL is my ride in race four for David & Ben Hayes and Tom Dabernig. He has been competing consistently over in Adelaide and his overall form shows he is never far away. It is the first time he is going to step up to 2000m. He has come up with a nice barrier draw and this is a Class 2 race. Race five, the Thousand Guineas Prelude, I ride SEBRING DREAM for David & Ben Hayes and Tom Dabernig. She has excellent form and I love the way she closed off her first up run at Moonee Valley. She now steps out to a bigger track and steps to a distance which she has won at. She has come up with a nice barrier draw and I expect her to be one of the main chances. 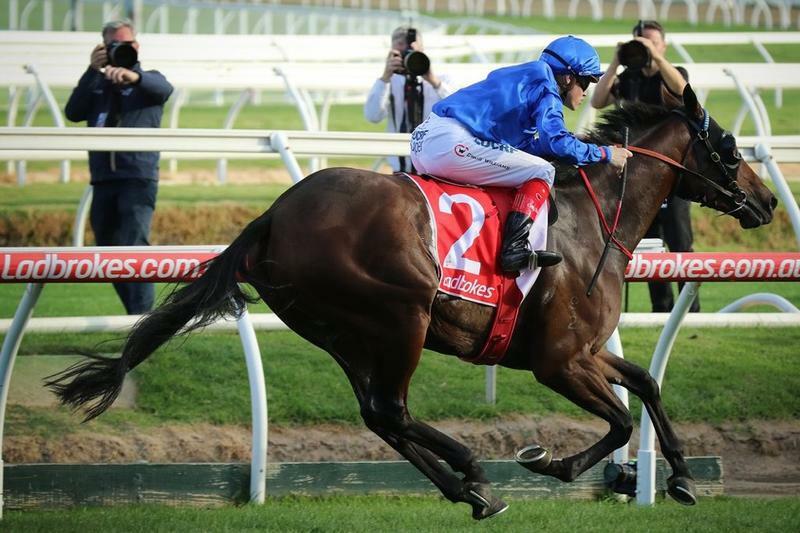 I ride ARCHIVES in race six, the Caulfield Guineas Prelude, for John O’Shea & Godolphin. I was very happy with his first up run where he had the blinkers on first time and was fired up and fresh in the early stages but was still able to close the race off at the end. He is a very solid galloper and I expect the turn would be in his favour. We will need some luck from an outside barrier but I expect him to be strong at the end of this. COUNTERATTACK is my ride in race seven, the Sir Rupert Clarke Stakes for Chris Waller. His first up run he closed off really well and I expect him second up, stepping to 1400 and with a lightweight, will give him a good opportunity to win a Group 1 race. His overall form is excellent and coming off his Group 2 victory in the Brisbane carnival has him well placed in this. Race eight, the Underwood Stakes, I ride HE OR SHE for David & Ben Hayes and Tom Dabernig. I was delighted that he was able to be more tactical and closer to the speed last time. He has come up with a favourable draw again in barrier 1 which should give him all the favours to have an economical run and he should figure in the placings at the end of this competitive WFA race. In the last race, race nine, I ride HELLBENT for Darren Weir. He has had three runs for the new stable for two wins. He would have derived a lot of confidence from his last start win as he was impressive. He steps up in grade and has a very wide barrier draw but if the track is playing even and there is no disadvantage out there, he is the one they have to beat on the minimum weight. I start in race two with STRINDBERG for Team Hawkes and Vinery Stud. This is the first time he will be tested at this trip. He has come up with an outside barrier draw. He started his racing in Victoria before going to Sydney. This is his second run back and off his last start fourth that should hold him in good stead for this race. He is up in grade but down on the minimum weight which should be to his advantage. DULVERTON is my ride in race three for Robert Smerdon and Qatar Bloodstock. She was successful at this course and trip at her latest start. Again she has come up with an outside barrier draw but this time the rail is out five metres and it is usually hard to make up ground. She is a get back, run on horse so I’m hoping the track plays fair so she gets her chance. She also gets in very well at the weights, only carrying half a kilo above the minimum. In race six, I ride GRETNA for Chris Waller. She won her maiden at this course and drew wide last time. She has come up with a nice middle barrier draw tonight. There is a lot of pressure in this race and that should suit her run style as she can be keen. She has worked well at the Valley coming into this race and if she has luck, she is one of the main chances in this extremely competitive event. RESORT is my ride in race seven for John O’Shea and Godolphin. He is coming into this race full of confidence as he dominated his maiden victory last time. He now steps up in trip and if he doesn’t have to do too much work from an outside draw, he is going to be there at the finish. I ride CHAMPAGNE READY in race eight for Chris Waller. I was successful on her last time at Sandown. She was in an unwinnable position but was still able to get up. She is a mare with a lot of ability and I expect her to be a Stakes horse in the future but she is still learning her craft. She also comes back in trip and she worked at Moonee Valley this week and it took until the last 100m of her work to find her rhythm and then she was really strong to the line. If she handles the night and gets a lovely run throughout then she will be hard to beat. I feel she has a big future. I start in race one with WINE for John O’Shea & Godolphin. The stable has a big opinion of this colt and expect him to be one of their Derby contenders. He now steps out in trip having his second start in Melbourne and second run this preparation. He will need a lot of luck from his outside barrier draw but I expect him to be there at the finish. CONCIOUS is my ride in race two for Troy & Leon Corstens and Pinecliff Racing. She is stepping back in grade to a maiden but this is no easy race. The stable applied ear muffs and pacifiers on her last time and she relaxed well and finished the race off nicely. She steps up slightly in trip and with the experience from last time I expect her to be hard to beat in this. In race three, I ride EXCLAMATION for John O’Shea & Godolphin. I was happy with his debut run. The winner from that race has franked the form by running well yesterday at Sale. I expect him to have trained on and if the rain doesn’t come and there is a firmer surface I think that would be too his advantage. This is also a competitive maiden but I expect him to be winning this. I start in race one with POSITIVE CARRY for Trent Busuttin & Natalie Young. He closed the race off nicely on debut and it looks like it was a very solid maiden. I expect him to improve from that outing, he steps sharply up in trip, he has a nice barrier draw and I expect him to be winning on the way to being a possible Derby contender. SWITCHBACK is my ride in race three for John O’Shea & Godolphin. He was solid winning on debut at Moe. He is in a very small but competitive 3yo BM64. The topweight ran the same day winning his maiden running six lengths faster so we have to improve on the clock. I do expect him to improve and have confidence from that victory. In race four, I ride SAVVY BANDIT for Trent Busuttin & Natalie Young. He has had two starts and never been further back than second. He won his maiden last time over 2000m. He steps up in trip again and takes on more experienced horses but he looks like a horse who will keep stepping up to the grade. UNBREAKABLE is my ride in race five for John O’Shea & Godolphin. He is resuming, has a favourable barrier draw and his form in the Autumn suggests he is a horse that will be competitive throughout the Spring. I’m looking forward to his first up run and seeing where he will be placed for the next few months. He is a very versatile horse and it will be interesting to see how the track is playing and what my instructions will be. Race eight, I ride LADY SKILLS for Matt Laurie. She is a 3yo taking on the older mares. She has come up with a very favourable barrier draw. She closed her race off last time at the track. She has the minimum weight and she will be having a very economical run and will need a little bit of luck late. If she gets this she will be competitive. I start in race two with DELICIOUS IRONY for Darren Weir. She debuted with a nice run at Bendigo. Since then she has had a break and resumes today on the synthetic surface. She has drawn the outside barrier but it looks like she ability and can overcome the trick gate. OM NOM is my ride in race four for Michael Kent. The trainer obviously has an opinion of this horse as he started off her career in a Group 3 race at Caulfield. She then stepped out to 1400m where she wasn’t beaten far and then went for a break. She resumes here and this is the first time she has been on the synthetic surface and has come up with a good barrier draw. She has a light weight as she is a 3yo taking on the older horses but looking where the trainer started her off I know the trainer has a good opinion of her. She is one of the main chances in this competitive maiden. I start in race two with STEGGLER for Darren Weir and Fairway Thoroughbreds. He goes up to Sydney where he’s shown in Europe he has gone well right handed. I rode him last start at Moonee Valley and felt he would benefit with the outing as he got very hot before the race and still finished the race off nicely. He has drawn well to get every favour. This is a very competitive BM84 race and I expect him to be one of the chances. GENERALISSIMO is my ride in race three for Garry White. He has won his last two starts and now steps up in grade. He has come up with a middle draw in a competitive race but he is in winning form and this race will be a gauge where he ends up during the Spring. In race four, I ride SEZANNE for Chris Waller. She is very well bred and I won on her sister at Sandown. She is two from two this preparation but is up in grade here but she can acquit herself well to the challenge. HOWMUCHDOYOULOVEME is my ride in race seven for Con Karakatsanis. He is resuming and has very good first up statistics as he’s only been out of the money on two occasions and twice at this distance. He has a nice barrier draw and I expect him to be competitive. Race eight, I ride FEDERAL for John O’Shea & Godolphin. He has come up with a favourable barrier draw and should get every favour. He resumed with a fast finishing second and now drops to the minimum weight and I expect him to go close to winning. In the last race, race nine, I ride NO DOUBT for Anthony Cummings. He has had two starts for two wins and looks like a very nice progressive horse. Anthony has chosen to step him up to this race so they must have a big opinion of the horse. He has drawn a nice gate and I hope to keep him on his winning ways. I start in race one with BLACK TOMAHAWK Darren Weir. I finished second on him at his last two starts. He is well suited to the compressed weights with the topweight accepting and being scratched. I think this is a race he can win and would give him confidence after his consistent performances recently. CONSCIOUS is my ride in race two for Leon & Troy Corstens. Her straight form is excellent when she was beaten on debut by Weatherly. First up this preparation she overraced and didn’t look like she enjoyed racing inside horses. She is back to the Flemington straight and I have trialled her coming in to this and she has a lot of ability but is still showing signs of immaturity in her mannerisms. To counter that today they have put on ear muffs and pacifiers to try and get her to relax. If she runs up to her debut run she can win this on ability. In race three, I ride TESSERA for John O’Shea & Godolphin. He has excellent form and this is his first start in Melbourne and has come up with a very favourable barrier draw. I believe this is a step back in class from his first up run against horse that are competing in the Group 1 race in Sydney today. BON AURUM is my ride in race four for Ciaron Maher. He has come up with an outside draw but interestingly two of his three wins have been from wide draws and racing wide. He doesn’t seem disadvantaged covering ground as he can use his long stride and keep his momentum going. His first up run was excellent and I’m looking forward to him getting out to the trip on a track he has won at before. Race five, the Danehill Stakes, I ride ARCHIVES for John O’Shea & Godolphin. He has blinkers on for the first time, he is first up and having his first start in Melbourne. I did trial him with blinkers on coming into this race and was very happy the way he performed. He is a very solid horse and being down the straight six requires a strong horse and he definitely fits that bill. I expect him to be very competitive and this will give us an indication where he will fit in during the Spring. I ride GENERALIFE in race six, the Bobbie Lewis for John O’Shea & Godolphin. He performed very well down the straight last Spring. First up he closed off nicely and if runs to his best in this he can win this race. HE OR SHE is my ride in race seven, the Makybe Diva Stakes for David & Ben Hayes and Tom Dabernig. I’ve won on him at the course and distance in the Autumn. His first up run at WFA he closed off very well. He does appreciate the big straight of Flemington and if he continues on from his first up run I would expect him to be very competitive in this even contest where most horses come out of the same race. 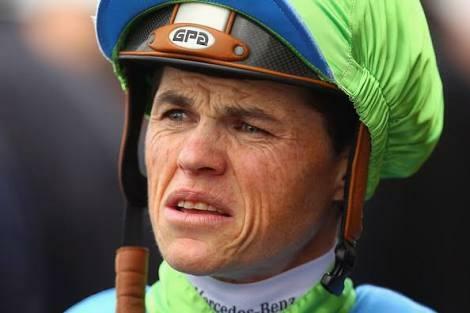 Race eight, the Let’s Elope Stakes, I ride EGYPT for Mark Kavanagh. I was delighted with her performance in the Autumn which showed she could measure up to Spring class. On her resumption, I thought she was an excellent un closing off late. 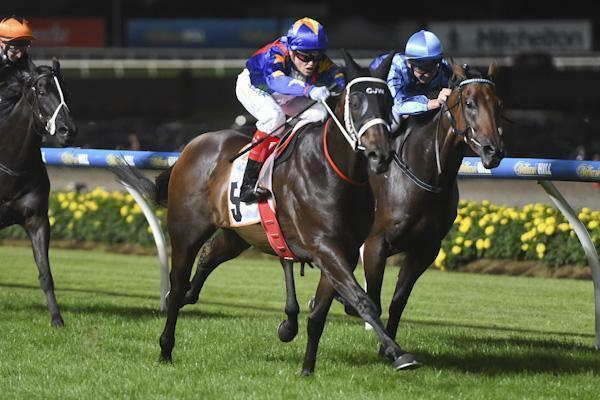 She has performed well at Flemington and the extra distance will definitely suit her. In the last race, race nine, I ride TALLY for John O’Shea & Godolphin. He resumed last start at WFA and it was very hard for horse to close off in that race. He now steps back to Handicap class, has come up with a wide barrier draw and there doesn’t look to be genuine speed in the race so it will be interesting what tactics John instructs me and we’ll know by the end of the day how the track is playing. Clearly on his Autumn form he will be one of the main chances in this competitive race. I start in race one with WINE for John O’Shea and Godolphin. He is a horse the stable has a high opinion of and hopefully will feature in better races through the Spring. This is a nice race to start him off having his first run in Melbourne. I would expect a forward showing as he has trialled really nicely down the straight at Flemington. SO SI BON is my ride in race four for Robbie Laing. He is a horse that has been very competitive at his two starts and will appreciate a favourable barrier draw and I expect him to be there at the finish. In race five, I ride NOT A HAPPY CAMPER for Matthew Ellerton & Simon Zahra and First Light Racing. I finished fourth on her last time and she drops back in grade here. She has been very competitive this preparation and I have had a ride on her now so I have a better understanding of her. This is not an easy race but I expect her to be one of the main chances. DEMONSTRATE is my ride in race six, for John O’Shea and Godolphin. He has showed very good ability and shown he is a Group horse in his 3yo career. He is resuming and has great statistics first up. From the draw and the way race looks like it will be run I would be very disappointed if he didn’t start this preparation with a well deserved win. In race eight, I ride WHIRLPOOL for Peter Morgan and Craig Widdison. She was Stakes placed last preparation. She now resumes her Spring campaign off the back off a very solid trial victory. She does seem to get back and close off. If the race is run to suit I expect her to be hitting the line the hardest. I start in race three with EXCLAMATION for John O’Shea and Godolphin. He is having his debut run. He has had a handful of official trials in Sydney. He is having his first try in Melbourne. He looks like a very exciting horse, is well bred and I expect him to be very competitive. SWITCHBACK is my ride in race five for John O’Shea and Godolphin. He is another having his first start. He has only trialled officially once where he was ridden back and finished off nicely. That was on the artificial surface so I am looking forward to how he performs on the turf, with the cut of the ground and going left handed for the first time. I start in race one with DULVERTON for Robert Smerdon and Qatar Bloodstock. She has been ultra-consistent this preparation since returning from Queensland. She runs really well at Moonee Valley, is suited at the distance and drops significantly in the weights. She is a get back run on style of horse and I expect her to be hitting the line. This is a winnable race for her. MASTER ZEPHYR is my ride in race two for Darren Weir and OTI Thoroughbreds. He resumed with a very good third here last time. He does stay at the same distance, has drawn to get a nice run and the race looks like it will be run to give him every chance to win. In race four, I ride STEGGLER for Darren Weir and Fairway Thoroughbreds. 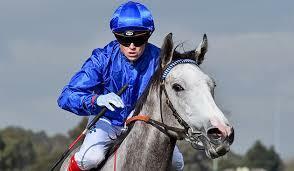 He had his first start in Australia last start and will have benefitted from the run. He drops back slightly in trip today and I thought he closed off well enough and this race looks like it will be run at a fast tempo and hopefully he can do the same. FURNACES is my ride in race five, the McEwen Stakes for John O’Shea and Godolphin. He has excellent fresh form, he is first up here and he has had one run at the track for a third. It was in this race as a youngster and it was behind Chautauqua. He has trialled nicely coming into this and the barrier should afford him every chance. Race six, the Atlantic Jewel Stakes, I ride TAN TAT BEAUTY for Henry Dwyer. I was really taken by her last start run from the outside barrier. This time we have come up with a very favourable barrier, the inside, which she can utilise. The Set Weight & Penalties conditions means she stays at the same weight. This is a very competitive race but she is going to take a lot of running down. In race seven, I ride SEBRING SUN for Darren Weir. He had his first run for the stable last time and closed off for a very encouraging third. He is in a very competitive race again but does drop to the minimum weight. The middle draw does give me options but he is usually a get back, run on horse. However, there does appear to be a lot of pressure which should suit. So if horse can close off on the day that will be advantageous. JAMEKA is my ride in race eight, the Dato Tan Chin Nam Stakes, for Ciaron Maher. I was really taken by her first up performance in the P.B Lawrence Stakes when she resumed against the older horses at same WFA conditions as today. She has come up with an outside barrier so we will need some luck but I expect her to keep progressing through her preparation and closing late. I start in race one with CHAMPAGNE READY for Chris Waller. She comes from the same family as the great mare Champagne. She has had one start where she closed off really well to finish second. Since then she went out for a spell and has trialled nicely in Sydney. She is having her first run in Melbourne. She looks like she has come on and this looks like a really nice race for her to start off her campaign with a win. RADCLIFFE is my ride in race two for John O’Shea & Godolphin. His first preparation included a win and a third and then was put away. He has since trialled nicely on the artificial track in Sydney in preparation for this campaign. He has a nice barrier draw, he has never run shorter than 6 furlongs and with pressure in this race it looks like he will be closing off late. In race four, I ride MISS GIDGET for Cindy Alderson. Since they changed her running style, riding her back she has been successful with a win at Geelong. Even though she finished at the rear last start it was a run you can forgive. She has come up with the outside barrier draw but is back in trip and I expect her to be closing off strongly on the minimum weight in this competitive race. MAGICUS is my ride in race six, for Chris Waller. This is the first time he has been up to this distance range but when he has competed at 1400m, two starts ago, he was an unlucky behind Marwood. Again he has found a very competitive BenchMark 84 race but all going well from his draw he is the one they have to run down. Race seven, I ride LOVEHEART LASS for Mark Kavanagh. She hasn’t won for over 18 months. She is a get back, run on mare. If the track is playing even, there looks to be nice pressure in this race that she would be closing off and run well fresh as she usually does. I start in race two with THE HOUSEMAID for Archie Alexander. She has been consistent at her three runs and comes off a last start victory. She has come up with a nice middle barrier draw and seems to make her own luck just off the speed. It is a very competitive race but with confidence from her last start win I expect her to be competitive and will give a good indication where she figures this Spring. MUSIC TO MIDNIGHT is my ride in race three for Ken Keys. He is an out and out stayer. It’s only been a month since his last win. It is a small field void of pressure up front. He has been able to be ridden back or forward. He is very solid and versatile and will be interesting to see how he turns up and races for me. In race four, I ride LEGAL HUNTER for Steve Richards. He has been very competitive and has found himself in a really nice race. He has drawn well and is one of the main chances. DULVERTON is my ride in race five, for Robert Smerdon and Qatar Bloodstock. She has won at the course, distance and handles soft ground. She does have to negotiate the outside barrier draw but she is a get back - run on mare anyway. If she has luck on running she will be charging late. Race six, I ride ROCKETS RED GLARE for John McArdle. He has been to the distance five times for two wins and a placing so the distance suits. He is coming off a freshen up which bodes well with his best form. He does step really slow and can over race so I’m going to have to get him out of the gates and manage his speed. There are a couple of horses who have strong form references but he can be very competitive against these. In race eight, I ride SPANISH LOVE Darren Weir. I have won two races on her but she hasn’t won for nearly two years. She has come up with a really good barrier draw and all three runs this preparation have been excellent. She does do a few things wrong in her races by over racing and hanging in. Having her first start for a new stable, they have taken all the gear off her and I’m looking forward to see how she comes to the races from her new environment. I start in race one with BLACK TOMAHAWK for Darren Weir. I was really impressed with the way he felt last start when he finished second. He has had a bit of a freshen up into this and has a slight weight turnaround on Au Revoir who beat him last time and I expect him to be wining this race. NOT A HAPPY CAMPER is my ride in race three for Matthew Ellerton & Simon Zahra. She is a consistent mare who has run well at all three starts this preparation. She has had one run at Moonee Valley but that was a forgive run as she pulled up lame. This is a very competitive race and I expect her to make her presence felt. In race four, I ride TAN TAT BEAUTY for Henry Dwyer. She has had one start for an impressive win at Racing.com Park. I worked her on Tuesday morning and she handled the Valley nicely. She wasn’t asked to be extended, felt very professional and in good order. However, we do have to contend with the outside barrier draw. If she doesn’t have to work too hard from out there she will take a lot of running down. TOOLEYBUC KID is my ride in race six, for Darren Weir. He had a very long spell and resumed with an eye catching second. I’ve only had one ride on him for a win over a year ago and I’m delighted to get back on board.He has great statistics over 2000m and if he has come on from his first up run he will be closing off solidly. Race seven, I ride ZANTECA for Darren Weir. I’ve had two rides on her for two wins and would love to keep that record going but her best runs are at 2000m and beyond. I anticipate her to be running well again and set herself up for a nice staying race over the Spring. In race eight, I ride KEEN ARRAY for David & Ben Hayes and Tom Dabernig. If he turns up with his Spring form from last year he is the one they have to beat. We have to contend with a wide barrier draw but on his best form this is a great race to start off his preparation. MAGICUS is my ride in race nine, for Chris Waller. He loves this course and distance. He has come up with a wide barrier draw but he’ll handle the conditions on the minimum weight and is the one they have to beat him. I start in race one with GRIDELIN for John O’Shea and Godolphin. She has had three runs for three seconds. She did an outstanding job last time out to stay standing on her feet and then have the tenacity to still run second. She has had a freshen up since that run, has drawn a nice barrier and it would be a nice way to start her off on her winning way. MISSILE BOOM is my ride in race two for John McArdle. He is a very nice progressive horse who has only had the two runs and they both showed plenty of merit and ability. If he has luck from an outside barrier draw he can win this maiden. In race three, I ride THE COOL JEWEL for Mark Kavanagh. She has always run well at Geelong. She is coming off a last start second and she also steps up slightly in trip which on her pedigree should suit. She has the outside barrier draw to contend with but the way she is going she will make her presence felt. PAY UP BRO is my ride in race seven for John Moloney. This horse has run third in Listed company and fifth in the Derby and even though the distance is short of his best trip, he did trial extremely well coming into this. He has to contend with a wide barrier draw and top weight but he is clearly the class runner. I am excited to be back racing today as it is my first meeting for the new season after a two week freshen up. I’m really looking forward to the 2016/17 season and most importantly the Spring Carnival which is on our doorstep. I start in race one with HURSLEY for Chris Waller and Qatar Bloodstock. He has been ultra-consistent since arriving in Melbourne. He has now graduated to taking on the older horses but he drops nicely in weight and is coming off a last start win. Barrier two gives me great options where he can position in running and he is proven that he is tough enough to be competitive in open age. MAGIC CONSUL is my ride in race three for Paul Preusker. He is an ultra-consistent horse who hasn’t been out of the placings at his last three metropolitan runs. He has a very favourable barrier draw and in this very competitive BM84 race he is one of the chances. In race four, I ride GLENBAWN DAME for Peter Robl and Segenhoe Thoroughbreds. She is having her first start in Melbourne. She has been very competitive and finished second at her last three outings. She is an on pace mare who is going to need a bit of luck from her outside barrier draw but she is going to take a lot of running down. HIGHLAND BEAT is my ride in race five, for David & Ben Hayes and Tom Dabernig. He showed good ability in his 2YO season and now steps out first up this preparation. He comes up with a very favourable barrier draw and he does race well at the course. Race six, I ride CONCEALER for Tony McEvoy. She is an exciting filly as she won over the Spring on debut. Her fresh for is excellent. When she resumed at her next preparation she finished second over this course and distance in a Gr.2 Blue Diamond Prelude. She now resumes as a 3yo and I really look forward to see her maturing. She will need some luck form an outside draw but she has shown in the past she can get back and close off solidly. In race seven, the PB Lawrence Stakes, I ride JAMEKA for Ciaron Maher for Colin & Janice McKenna. She would’ve been the best 3yo of last season and now she takes on the older horses. She trialled very nicely coming into this race and I expect her to be closing off this race very strongly. GIRL GUIDE is my ride in race eight, also for Ciaron Maher and the same connections as the previous race. She got back and closed off really well when resuming this preparation. This is a very suitable race for her and her rating as she is on the minimum weight and meets Fast’N’Rocking 4kgs better off from her last outing. She is a bit of a tricky girl and if we can get the right run for her she will be winning this race. I start in race one with GRIDELIN for John O’Shea and Godolphin. She has had two race starts and finished second on both occasions. She started this preparation off at the same course when narrowly defeated. She now steps up in trip and if I can manage her speed I expect her to be winning this maiden on her way to better things in the Spring. In race two, I ride FROTHED for John O’Shea and Godolphin. She is a very consistent 3yo filly taking on the older maidens. She has had five starts for three seconds. Her two runs in Melbourne have produced two seconds and she is very adaptive. She has come up with a very favourable barrier draw after scratchings and I believe the instructions will be to ride her quiet so she will have an extra kick at the end of her race. If she gets a nice run in transit she can breakthrough. SEPTAMORE is my ride in race three for Darren Weir. He is very consistent and has only been out of the top three on one occasion. This preparation has produced a second and a dominant win last start on Heavy ground. This looks like a really nice race for him. He has drawn awkwardly but if I can have some luck I expect him to be very strong late. In race four, I ride MY OBSESSION for Darren Weir. She is resuming and is a very consistent and competitive mare and on her best form she is one of the main chances. ROBBIE’S STAR is my ride in race five for Peter Chow. He was important to me last year in the run home to Championship as he provided me with a winner and hopefully he can do the same today. He has been in great form and has a very favourable draw. Hopefully lightning strikes twice. In race six, I ride PARMALOVE for Peter Morgan & Craig Widdison. The step out in trip will be an advantage for her as she was closing off well last start. She handles all conditions and I expect her to be one of the strongest horses late. In race seven, I ride TESSABELLE for Mark Kavanagh. She resumed this preparation beaten two lengths in a strong race which produced Telopea who has since won in Saturday grade. She was very keen last start and burnt herself out so having the benefit of the run and edge off her with a good draw and minimum weight, she is going to take a lot of running down in this. I start in race one with SLEEPLESS NIGHTS for Leon & Troy Corstens. I partnered her last time when she came from a long way back and finished nicely for fourth. She now steps up in trip that she will relish. I’m hoping I can get her out of the gates and get her in a more forward position. If she could be handier it will give her less work to do. She has a tendency to hang in but she is a nice mare on the way up and getting out to a suitable trip. REIGNING METEOR is my ride in race two for Matthew Williams and Darren Dance’s ATB. He was narrowly defeated last time by a smart horse. He hasn’t won for a long time but he is suited by soft ground and this looks a winnable race for him. In race three, I ride STREAMING BY for Tony McEvoy. He won at this course two starts ago and then went up in grade last start where he ran a creditable fifth. He now drops back in grade and trip, he is a fit horse and one they all have to beat. KINSHACHI is my ride in race five for John O’Shea & Godolphin. I was bullish about her chances when she won first up at Mornington. She handles Heavy ground, so the wetter the better for her. She has confidence from that last win even though it was narrow I felt she would derive a lot from having her first start going that direction. She has trained on nicely since then and I expect her to be hard to beat again. Race six, I ride JUST STELLAR for Christopher Davis. She looks like a very nice progressive filly. I have been taken by all her runs and she’s definitely one of the main chances in this competitive fillies race. In race seven, I ride MONTANA for Darren Weir. He is a consistent performer who has won at the course and distance. He is also effective on Heavy ground. It is a very competitive race but I expect him to make his presence felt after a slight let up. I start in race one with SPRUNG DANCING for David Brideoake. She is coming off a last start win on the Geelong synthetic. She steps up in trip which looks like it will suit her and two starts ago she finished third on a soft track. She has come up with an outside barrier draw where she will need some luck in this small but competitive race. ALCOHOL is my ride in race two for Richard Jolly. He was narrowly beaten by Longeron last start and we get a 2kg swing in the weights on him but we have drawn a bit awkward. If he gets a bit of luck I expect to be finishing off the race well. In race three, I ride QADIR for David Jolly. He closed off the race very strongly last start at Flemington. He is having his first start at Caulfield and he is a get back, run on horse. It is important for him that they run the race at a good tempo so he can run on as he has no gate speed. On his form and in only a half a kg off the minimum I expect him to be competitive yet again. MAKATITI is my ride in race four for John Sadler. He has been ultra-consistent this preparation and hasn’t been out of the top three, comes up with a favourable barrier draw and comes back against his own age group. He is on the minimum weight and will make his own luck. Race five, I ride MAGICUS for Chris Waller. He is a very exciting horse who has never been out of the top two placings in his four starts. He has trialled very nicely coming into this race and I have had one ride on him for a win. I do have to navigate from a wide draw but if he has some luck from there he will be too strong for these horses. In race six, I ride BRADMAN for David Hayes & Tom Dabernig. I was successful on him last time out and now he steps up in grade but drops handsomely in weight. He has come up with a nice barrier draw but he will need some luck. With confidence from last start I’m hoping he can take the next step up in this competitive race. HURSLEY is my ride in race eight for Chris Waller and Qatar Bloodstock. He closed the race off solidly last time over 1600m and steps back out to 2000m today which looks like it will suit him. The track should have some wear and tear by this time of the day and I was successful on him over the Flemington carnival on a Heavy track at the end of last year so the wetter the better. I believe he has changed his training this week and has been over a couple of jumps to make him sharper. From an inside barrier draw he is one of the main chances. In the last, race nine, I ride KANSAS SUNFLOWER for Luke Oliver. She is an ultra-consistent mare. Her last three starts she has finished second but she hasn’t won for over a year. She has come up with an inside barrier which by the end of the day may be a disadvantage. She is very versatile and very competitive and if she gets luck at the right time it will be nice to put a win against her name. I start in race one with FALLACY for John O’Shea and Godolphin. She is having her first start. She has trialled twice officially, once on soft ground. Since then she has had a let up, a couple of jump outs and has continued to improve. She has a nice barrier draw, is very well educated and she will make her presence felt. MAROON is my ride in race two for Matthew Leek. He is a horse having his first go out at a trip. All three starts this campaign have been on a synthetic track. He has also had a jumps trial this preparation giving the indication he is destined to go over the jumps shortly. In race three, I ride SUGARLAND EXPRESS for David Hayes & Tom Dabernig. I rode this horse on debut who got back and had no luck and I felt I had a lot of horse to offer. He is by Zabeel, he steps out in trip and they usually handle soft conditions. All going well and if he has improved from his first run he will be hard to beat in this race. LADY BRAVE is my ride in race four for Robert Smerdon. On debut she was back and never got into the race. She now steps up in trip which she is bred to do and she should find her best form when she gets out to extended distances. I start in race one with GRIDELIN for John O’Shea and Godolphin. She has trialled nicely on soft ground coming into this event. When she had her first race start she was beaten by Zamzam who subsequently went on and ran third in the Blue Diamond, so it is good form for this. She has come back very strong and she is a very determined filly and will be very hard to beat in this. SENTFROMTHESTARS is my ride in race two for Matthew Ellerton & Mark Zahra. She has excellent form at the distance and she has come up with a nice barrier draw. She looks like she will be able to close the race off strongly. In race three, I ride DULVERTON for Robert Smerdon & Qatar Bloodstock. She is coming back in class and a long way back in trip. She does handle soft ground and if she has freshened up nicely from Brisbane she will be finishing off the race very strongly. RISING STOCK is my ride in race four for Mike Moroney. He has won his last two, is in great form, handles soft conditions and won here last start. He has also come up with a favourable barrier draw in an even races and looks like he can take the next step. Race five, I ride KING WAY for Shea Eden. He is an American bred, imported horse from France. He has been ultra-consistent horse since arriving in Australia. I have seen his only win which he won at Longchamp in France on Heavy ground over 2400m. So he finds a race that is identical to that win. He looks really solid and I wouldn’t be surprised if he took a lot of running down. In race six, I ride CHARLIE GARCON for Robbie Griffiths. I rode him last time at Moonee Valley where he had the blinkers on for the first time and he found the pressure too much. Since then he is coming back in trip, has the blinkers off and is down in grade. He handles Heavy ground and is back to the distance we saw him victorious on when he won his maiden. By late in the day, I assume the inside will be a disadvantage so it is my job to get him into the best ground. It is a very even race but on his best he can win this. ZA ZA ZOOM is my ride in race seven for Tony Noonan. She has been very consistent this preparation, handles Heavy ground and has also been very competitive over further. She is in great form and I expect her to get every chance from a favourable draw. In the last, race eight, I ride JIMIVAG for Terry & Karina O’Sullivan. He has won his last two races on Soft and Heavy ground. He looks to be in great form and the conditions and favourable barrier draw will suit him. He looks well on his way to making the next step up in grade. I start in race one with COLONEL CLINK for Robert Smerdon and Ultra Racing. I rode him on debut and I was very happy with the way he closed the race off without much luck. He has come up with a wide barrier draw and the track will be affected which he has performed on at his only run and his trial. He is a horse with a good future. He also has the addition of blinkers fir the first time today. NIMINYPIMINY is my ride in race two for Russell Cameron. She finished second in this race last year. She loves rain affected ground, gets in on the minimum, is in great form and is going to be one of the main chances in this small field. In race three, I ride TURBO STREET for Tony McEvoy. He has come up with a favourable barrier draw. When he ran at Flemingotn first up he wasn’t beaten very far in a very competitive race. This again is a very competitive BM78 race but with a good draw I expect him to make his presence felt. SPIETH is my ride in race four for Bryce Heys. He started his career off in Melbourne where I was successful on him. This preparation he has been back in Sydney and has won two out of his three starts. He is a horse with a future and if he handles the straight, he is the one to beat. Race five, I ride SHE’S CLEAN for Chris Waller. I rode her last start in a similar race. Three of the horses in this beat her home but she does have a marginal weight advantage on all three. It is a small field which will be tactical. She will get back as per her usual style but she does save her best runs for Melbourne. In race six, I ride LUNAR SPIN for John O’Shea and Godolphin. He has been very consistent this preparation. He had the blinkers taken off last start and ridden a bit more conservatively and closed the race off nicely. He comes into this very competitive open 3yo race with a great barrier draw, in form and will be very competitive. In race eight, I ride UNGRATEFUL ELLEN for Robert Smerdon and Price Bloodstock. She is coming off a slight layoff. Last start she ran into Zanteca which is a strong form reference for this. She will need a little luck from an outside draw but she will handle the soft conditions, is well weighted and is one of the main chances. In the last, race nine, I ride BULLPIT for Danny O’Brien. He has come up with an inside barrier which might be a disadvantage by that time of the day but he does have excellent gate speed and I will just have to navigate a course to find the best ground. He is ultra-consistent and races extremely well down the straight and he has a 2kg weight pull on the horse who beat him last time. I start in race one with ALL WELL for Robert Smerdon and Waratah Thoroughbreds. He is a jumper in the making and this is a nice stepping stone. He gets out to 2400m, handles soft ground and drops back to maiden grade. He should be there for a long way. FRENCH SNITZEL is my ride in race two for Danny O’Brien. This Snitzel gelding is having his first run as are most of the field. He trialled nicely on soft ground at Werribee and the conditions will be similar to that. If he handles the day well I expect him to be competitive in this open race. In race three, I ride MATE’S REWARD for Robert Smerdon. He is also having his debut run. There are a lot of unknowns in this race also. I have seen him trial unofficially where he had early speed but was found wanting a little bit late. He is bred to get through the wet conditions. BERNING DESIRE is my ride in race seven for Robert Smerdon. This is the first time he has been out to this distance. He is now fourth up and has won on soft ground. It’s not an overly strong race and he doesn’t have to lump a huge weight. He should be in it for a long time. Race eight, I ride SAVATONE for Danny O’Brien. He has been very consistent this preparation. Even though he hasn’t been in the top three at his two soft track runs he has closed those races off very strongly for fourth on both occasions. He is building towards a win but he is a get back, run on horse and there doesn’t appear to be a lot of pressure up front. Hopefully the race is run to suit his style. I start in race three with FLEURIEUfor Heath Conners. I actually partnered this horse on debut over 12 months ago at Scone and I thought she showed enough promise when closing off for a nice third. She has only had one start since. This is her first run for Heath Conners and going in the Melbourne direction. She has drawn the extreme outside draw so she will need some luck but if she has come up on from what she did over a year ago she should be competitive in this. OSCAR’S MY MATE PA is my ride in race four for Eric Musgrove. He is an ultra-consistent horse who has only been out of the top three on one occasion. He has come up with a favourable barrier draw. This is his first start on the synthetic track but if he handles it, he is going to be very competitive in this very strong BM70. In race five, I ride DARCY’S LAW for Robbie Griffiths. She is resuming, she has excellent form and has won on the synthetic track before. She will take a lot of running down in this first up run. BOX OF FROGS is my ride in race six for Scott Brunton from Tasmania. Her has decided to bring him across to target the Winter Championship Final as this is a heat of the series. His recent form is outstanding as he has dominated all of his wins by an extended margin. His last two runs have been on a Heavy 8 & 9 and this is his first go on the synthetic. All being equal, he is the one they all have to beat especially as he gets in only 1.5kg off the minimum. Race seven, I ride PARALLEL LINES for Jason Warren. This is the first time she has been stepped up in this distance and the trip is extended from the original plan as they have added an extra 200m to the race due to the race being transferred from Cranbourne to the synthetic. She has the blinkers off for the first time and I expect her to be one of the horses to be closing off strongly. In the last race, race eight, I ride ROBERT DE HERO for Mathew Ellerton & Simon Zahra. This preparation he has been ultra-competitive and broke his maiden status two starts ago. All his form this preparation has stood up to be competitive in town. He has the blinkers on for the first time, takes up a forward position and seems to make his own luck.